Home Blog Apple Mac Time to Renew ? A few taboos remain regarding the leasing of computers. Perhaps the most common is the idea that leasing is inflexible, meaning that those involved are tied down to long contracts where equipment quickly becomes out-of-date. If you understand how a mobile phone contract works then leasing computers with HardSoft is the same principal. At HardSoft, the name of our Flexi Lease scheme for business users says it all – our leasing is incredibly flexible! Whilst our customers are guaranteed ownership of all equipment at the end of a contract for the very low price of just £1 we also offer two separate Renewal options for PC and Mac users that allow you to upgrade. PC…after 18 months you have the option of taking out a new lease on the latest equipment. You stop paying for the current lease, get the brand new equipment sent out to you and continue to make 1 payment per month. What’s more, with this option you are also able to keep your old equipment – this is useful for an expanding business or it can even be retained for personal use! Mac…Mac renewals are slightly different to PCs as they occur after 2 years (Macs are known for having a much longer lifecycle). If you want, you can return your Mac at this point and walk away from the lease- just like a rental. Or, if you would prefer, you can re-new the lease and walk away with the latest kit, by either trading in your old Mac (for a bit of a discount) or you can still keep the old kit if you would prefer. The best way to express how flexible and cost-effective our leases are is to show you the successes some examples in the last few weeks of our customers who have taken advantage of Flexible Leasing. Peter from growing App developers , Nice Agency Ltd (located near the HardSoft office in Shoreditch) had an original lease agreement costing £32.50 + VAT per week. His upgrade enabled him to get hold of two brand new Apple iMacs with Core i7 quad processors, after returning his old iMacs, for £32.40 + VAT per week. Ultimately, after just 24 months, Peter was delivered the latest thin iMacs for a cheaper monthly cost. Nice Agency Ltd have over 30 Apple Mac computers from HardSoft spread over numerous lease agreements. Another good example…Ryan at BlackMonk Engineering Ltd In Cleveland was originally paying £25.20 + VAT per week. His upgrade gave him a new Apple MacBook Pro with Retina display. Whilst his monthly payment increased by a miniscule £2.10 + VAT per week he was able to keep all his old equipment – and at only 2 years of age, it hardly deserves the label old! 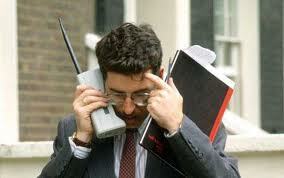 You wouldn’t refuse a Mobile Phone Upgrade ? Going back to how similar this is is to a Mobile Phone deal then the average Apple iPhone 5 contract for a 16GB is £10 per week. On the same basis that’s an iMac or a MacBook Pro on your desk So, for any further information on flexible and cost-effective business financing for PC’s, Macs and Networks then try us….or pop into our Shoreditch store in East London or Head Office near Stansted Airport. Or we will come and see you . HardSoft are an Authorised Apple stockist and licensed by the OFT so are that one stop lease shop for your IT needs.